Is Government's Renewed Push On Mortgage Fraud Too Late? 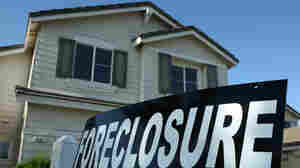 August 22, 2013  Are federal prosecutors gearing up to file more big mortgage fraud cases? Bank of America was targeted recently, and JPMorgan Chase has disclosed that it is under investigation. Now that banks have returned to profitability, regulators may be more willing to take action. But time may be running out in some cases. August 19, 2013  On Monday, President Obama summoned top financial regulators to the White House to get an update on the implementation of the Dodd-Frank Act. The legislation was passed in the wake of the financial crisis and is a sweeping overhaul of the nation's financial regulations. But three years after being signed into law, much of Dodd-Frank still isn't in place. Such is the difficulty of re-writing financial rules. August 15, 2013  Some good news on the jobs front sent the stock market down sharply on Thursday morning. Wall Street is worried the Federal Reserve will soon start to phase-out the stimulus its been providing. The positive jobs news makes that phase-out more likely. August 14, 2013  The Eurozone economy eked out a positive growth number for the first time in a year-and-a-half. That had some analysts speculating that Europe's long recession is coming to an end.Others think that's too optimistic. August 2, 2013  The unemployment rate dropped in July to 7.4 percent as employers added 162,000 new jobs. Renee Montagne talks with NPR economics correspondent John Ydstie about the latest numbers, and what they mean. July 30, 2013  Janet Yellen is on President Obama's short list to replace Ben Bernanke at the Federal Reserve. July 26, 2013  Senate Democrats are asking President Obama to nominate Janet Yellen as the next Federal Reserve Chairman. A letter signed by more than 50 senators is being viewed as an attempt to derail the candidacy of former Treasury Secretary Larry Summers. July 24, 2013  With the new health care law on the horizon, the restaurant industry is looking carefully at the looming health insurance requirements. Some national chains are looking at ways of limiting the new law's impact on the bottom line, while other restaurant owners say the new law won't change much for them. July 18, 2013  Federal Reserve Chairman Ben Bernanke continues his two-day monetary policy testimony on Capitol Hill. On Wednesday, the chairman appeared before the House Financial Services Committee. July 17, 2013  Federal Reserve Chairman Ben Bernanke testified before the House Committee on Financial Services Wednesday, saying that when and how the Fed winds down its stimulus program will depend on economic conditions. July 12, 2013  Boeing's stock plummeted more than 7 percent on news of another fire on board a 787 Dreamliner. The plane was on the ground at London's Heathrow Airport and no passengers were on board. It's not known yet whether the fire had anything to do with the troubled plane's battery or electric system. July 11, 2013  Smithfield CEO Larry Pope tried to reassure lawmakers that the sale of his Virginia based company will not mean a transfer of jobs to China or a reduction in food safety. He appeared before lawmakers on the Senate Agriculture Committee on Wednesday.